I have the same question as beeb. 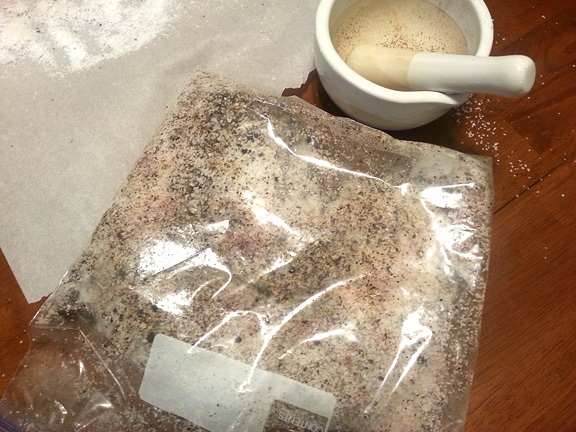 I’ve read in several places that you’re really not supposed to salt cure and air dry pork that has already been frozen, but I honestly don’t know why. 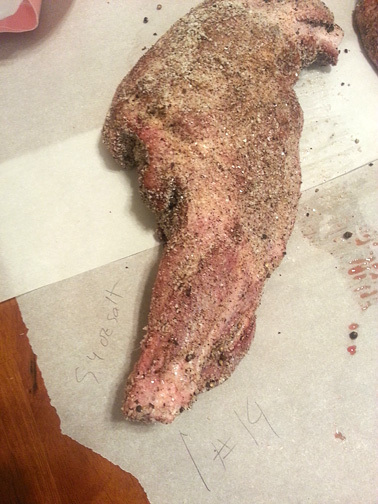 I bought a whole pig from a farm, and the people at the processor froze the leg after I asked them to keep it fresh. When I picked it up, they told me a frozen leg is fine for proscuitto, but I don’t know if that’s true or she was just trying to keep me from getting upset. Can anyone weigh in? Jordan, freezing meat changes the way its protein structures break down. (Dehydrating and salting are, at their most basic, the devolution of proteins.) 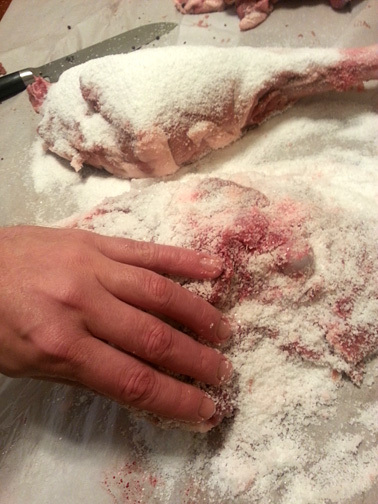 Previously frozen meat will lose moisture faster than meat that was not frozen, and it will absorb salt faster. There are no warnings from official sources about actual dangers presented by this, and if it was inherently dangerous, there would most certainly be warnings. (Think about how many warnings about home canning are published by the USDA and local and state departments.) For more information from an official source, click HERE. It’s an NIH study about curing hams that were previously frozen. 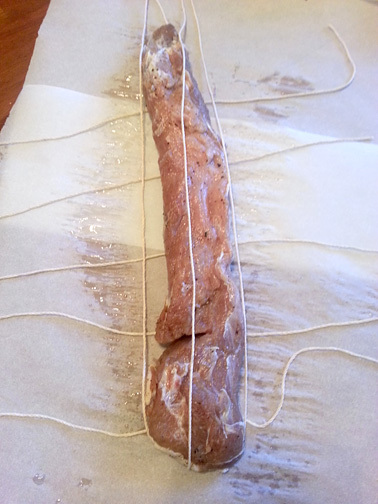 No warnings, just information about how the final product differs from a dry cured ham that was not previously frozen. I was under the impression that frozen meat could not be air dried ?…..I can’t remember why I think this but if so, would it have something to do with moisture content affecting the cure??? I would also recommend a temperature range on the low-end of what you stated. 55 is really the ideal temperature, and I would not want to go much more than 60. Humidity also should not go as low as 60%. 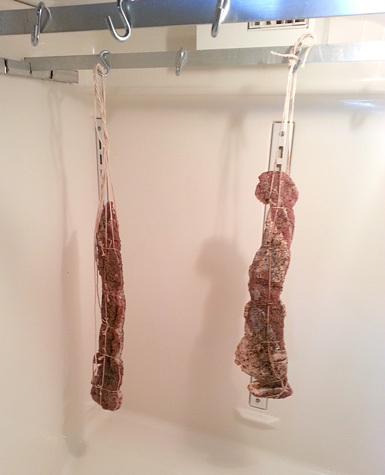 Especially with a skinned piece of meat, you can get case hardening at that humidity level. You would want it closer to 70 or 75. 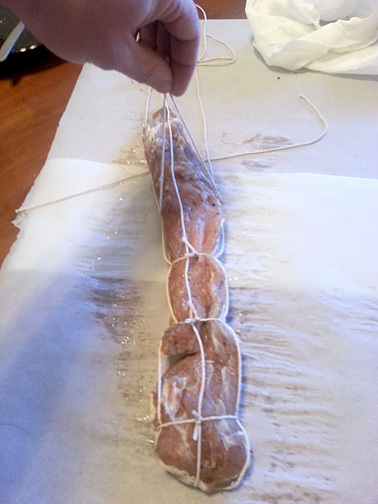 What was your experience with a skinned and prosciutto? 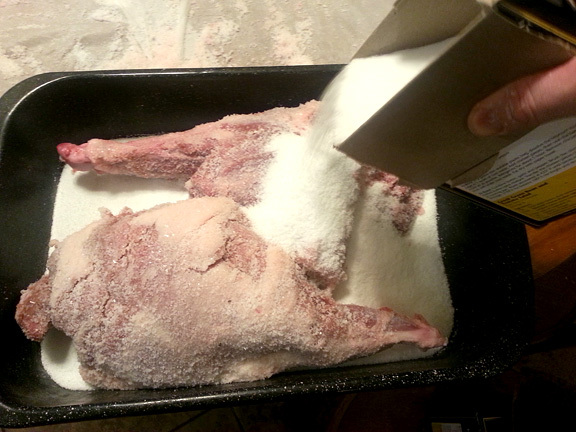 Where the recipes you were reading calling for 8.5% salt for skin on or skinned legs? That can make a big difference because the skin greatly slows down the absorption rate of the salt. That may be why one of the other posters on here thought is was way too salty. 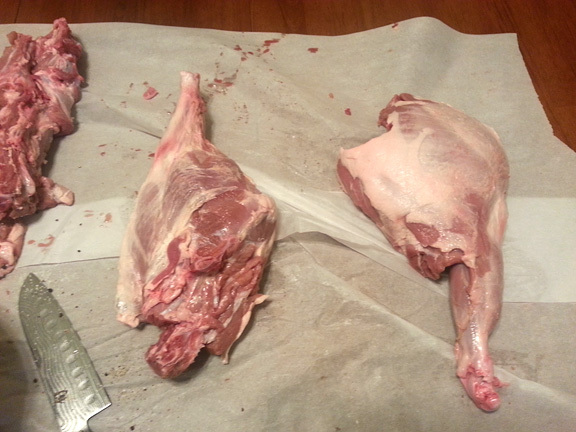 I asked all this because I am about to do a whole wild boar leg, Which I have never done. From what I have read, I really want to leave the skin on but I am curious to know what others experience taking it off. Hi, I’d like to make a comment about freezing first – i don’t know anything about toxoplasmosis, but I f you have wild anything, you should probably freeze because it has a chance of having trichinosis. Domesticated pork used to have that problem but because if better sanitation it’s really not an issue anymore (which is part of the reason that the FDA dropped the recommended cooking temperature of pork to 145). 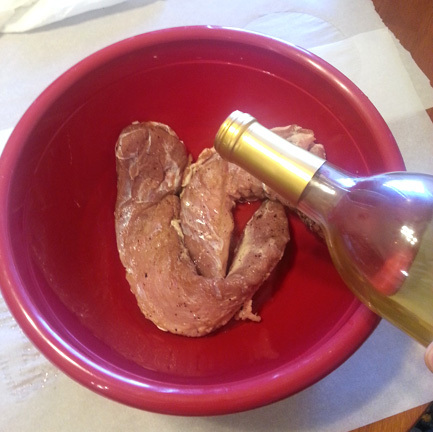 With wild meat, freeze it for a few weeks and that will kill it. There’s a specific temp/time chart out there somewhere, but of you just get it below 0 for a few weeks you should be fine. Also, I’d strongly advise AGAINST using a plastic garbage as a receptacle for edible food. They have chemicals on them specifically meant to keep food from smelling, and those chemicals aren’t meant for consumption. Get and of those extra large ziplocs. They are easier to handle, clear (see through) and great to have on hand! I’m very much a beginner. 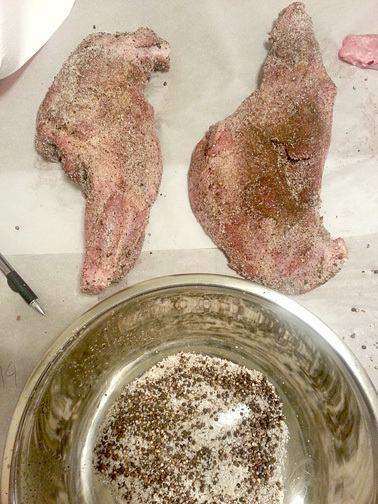 I’m planning on doing some air dried sausage and a proscuttio with my deer. Since I didn’t find much info, I decided to freeze it first, even though I wouldn’t have a problem trying cured fresh game. It sounds like it can be an issue with pork too. People cure and dry fresh pork all of the time.